In 2009, together with Mariusz Waras, he created installation Fabryka (Factory) in CSW “Znaki Czasu” (Signs of Time) in Toruń and also presented the piece Folk Science as a part of Pandemonium project in AC Institute [Direct Chapel] in New York. He was awarded a sholarship of Museums Quartier in Vienna, artist-in-residence program (2004), Polish Ministry of Culture and National Heritage (2007/2010), CCA “Kronika’, Bytom (2006) and Visegrad Fund residence program at Skolska 28 Gallery, Prague (2011). Took part in many festivals: Unsound, Line_in : Line_out, Wien Modern ’03 , Stimul ’05, Echofluxx ’11, Prague, Jazz and Experimental Music from Poland, ’11, London. He cooperated, cooperates or occasionally performed with musicians/artists/curators like : Hubert Zemler, Johannes Bergmark, Per-Åke Holmlander, Olgierd Dokalski, Mariusz Waras, Laurenz Theinert, Daniel Muzyczuk, Michał Libera, Tomasz Duda, M.bunio.S, Emiter, Jacek Mazurkiewicz, Tomasz Szwelnik, Piotr Kurek, Thomas Lehn, Andrew Sharplay, Mikołaj Trzaska, free103point9, Patryk Lichota, Gerard Lebik, Wojtek Mazolewski, Ania i Adam Witkowscy, Lukas Jiricka, Tomasz Ziętek, Martin Blazicek, Hevelius Brass, Robert Sochacki, XV Parowek, Konrad Chyl, Tianna Kennedy, Damian Catera, Łukasz Ciszak, Columbus Duo, Łukasz Kos, Michał Borczuch, Tomek Kopcewicz, Mazzoll, Dagna Sadkowska, Michał Górczyński, Oleg Dziewanowski, The Amareya Theatre. Co-founder (together with Michał „Bunio” Skrok and Piotr Szwabe) art formation – Pracownia Ludzie Gdańsk (1998-2000), so as band Ludzie (Folks), where he played drums and percussion together with Michał Skrok – he was responsible for electronics. He was also a member of bands Kobiety, Night Come, Red Rooster, Dzieci Kapitana Klossa, RogulusXSzwelas Project. Under name of Arszyn, his solo act, focuses on electronic, electroacoustic music, sound and colour exploration, rhythm (percussive and electronic) and building an atmosphere, also designs sound installation. The musical spectrum of his music spreads from ambient to noise. His discography includes : Z Werszków Pierwszy (Neftyt, 2002) and Unitas Multiplex (TNS records RXS+PLG, 2004). Together with Marcin Dymiter (Emiter) played duo Emiter.Arszyn, which published several albums: 16.032003 (A-Version, 2003), emiter.arszyn.emiszyn (Monotype, 2005), 07.05.05 (Monotype, 2005) and 07.11.05 (Audiotong, 2006). Musicians, using the means of electronic and electroacoustic improvisations, instrumental dialogues (drums – guitar), sound preparations and sound explorations join and interpret different generes of contemporary music (post-rock, microelectronic, minimal noise, ambient, raw, trance rock, click and cuts esthetics) into enigmatic, vague, atmospheric forms. Krzysztof’s artistic activity is based on integration of different media and art aspects, to put music in the context of different dimensions and situation, reality approached and also to activate the sensitivity for so-called sounds of the world. As well as in his music and his educational workshops for youth he uses field recordings and experiment. During “Piezo workshops” the participants were looking for some interesting sounding objects within the area they have been to actually, then they were manipulating them to make a composition. It was played then at the end of the workshops. During other workshops “Roślinki, owoce, kwiatki” (“Little plants, fruit, little flowers”), the composition was based on the sounds derived from preparing the dish. 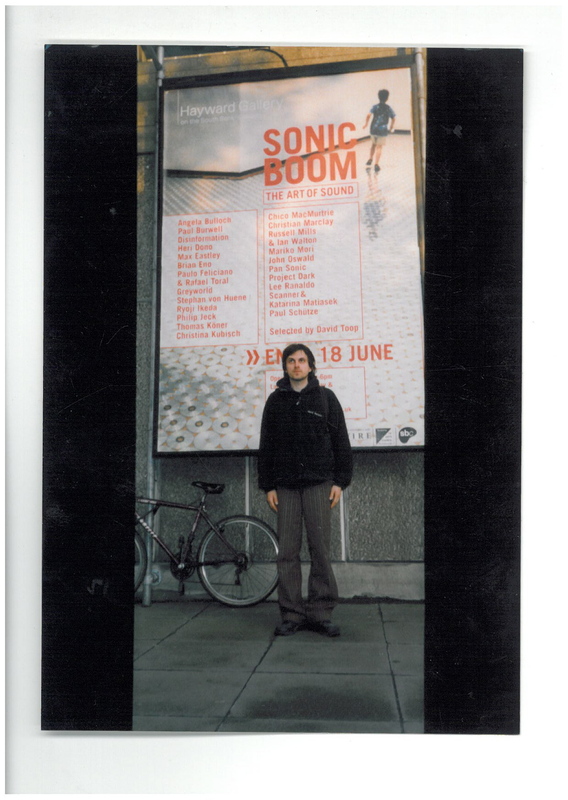 Both workshops were documented and published Arszyn + Youth Electroacoustic Orchestra + dj Wojak Piezo workshop 2 (PLG + CSW Łaźnia, 2004) and Arszyn + the Youth Electroacousticians Plants, Fruits & Flowers Workshop (Arszyn + CSW Łaźnia, 2005). In CSW Łaźnia he also ran the educational project ”Contemporary music for housewives” which aimed to promote and present sound work. Within it some lectures and presentations on experimental music and sound art took place. They presented phenomena existing within contemporary music both academic and non-academic currents. The lectures were presented by Rafał Księżyk, Jacek Skolimowski and Michał Mendyk. He was awarded a sholarship of Museums Quartier in Vienna and artist-in-residence program in CCA “Kronika’, Bytom, took part in projects of Plain.music, and many festivals: Unsound, Line_in : Line_out, Wien Modern ’03 and Stimul. Collaborates with video artists, dance and movement theatre and graphic designers. Creates sound installation, also in the context of music as “sound sculpture”. Best example was his participation in “Audio Tourism. Kalingrad-Gdańsk”, within which artists from Gdańsk and Kaliningrad recorded music of the cities, then improvised with its source material, both exploring history and current situation of both places. Ordered by Radia_Copernicus and Universitat der Kunste from Berlin together with Emiter they wrote track, wchich was sound impression on audiosphere of empty apartments. He acted within the area of Artist’s Colony in Gdańsk shipyard and in Centre for Contemporary Art Łaźnia in Gdańsk. 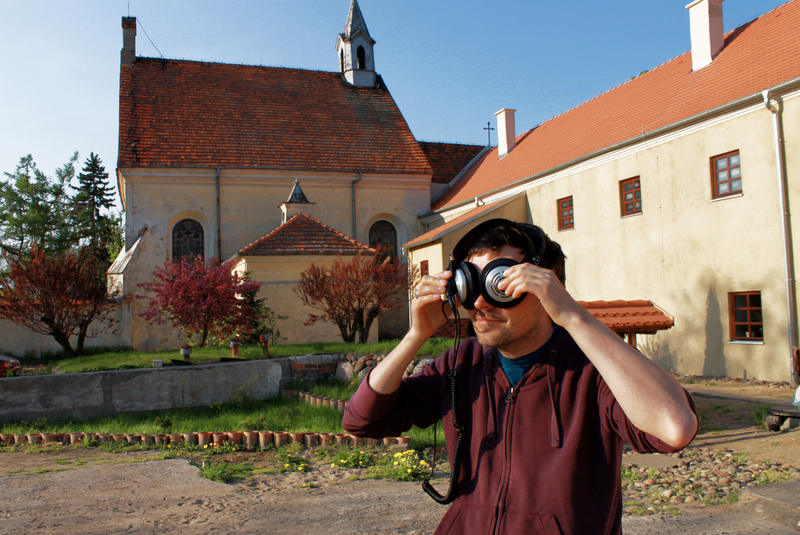 In 2007 and 2008 he took part in following enterprises : Radiocustica project, Czech Radio, Prague, Cabbage, sound workshop Feliks Nowowiejski’s Academy of Music Bydgoszcz., MissionEurope project, Emiter.Arszyn Tresymesy sound composition, Arszyn_Emigrant project (supported by the Polish Ministry of Culture and National Hertige), Martin Blazicek & Arszyn Live cinema performance, Noise, sound workshop EL gallery, Elbląg, Ends & Entries project , Meat & Potatoes sound composition.